My grandparents host a HUGE gathering on Christmas Eve--45 people. 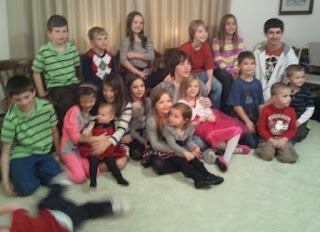 This year was special because all 19 great-grandchildren were going to be present (age 1 through high school). My assignment for the meal was to bring fruit. 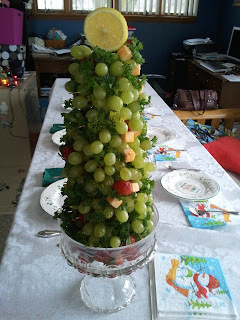 I decided to repeat my hugely popular fruit Christmas tree from last year. We took a green Styrofoam cone and used toothpicks to attach green grapes, raspberries, strawberries and cheese cubes. Fortunately, my visiting niece and nephew were eager to join my kids in helping with the assembly. I used an antique dish and placed strawberries at the base to keep the cone upright. 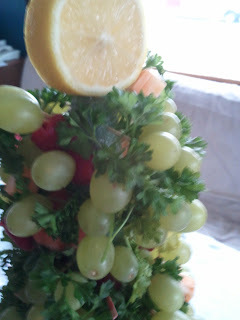 I used a thick lemon slice as my topper and shoved parsley in the gaps. 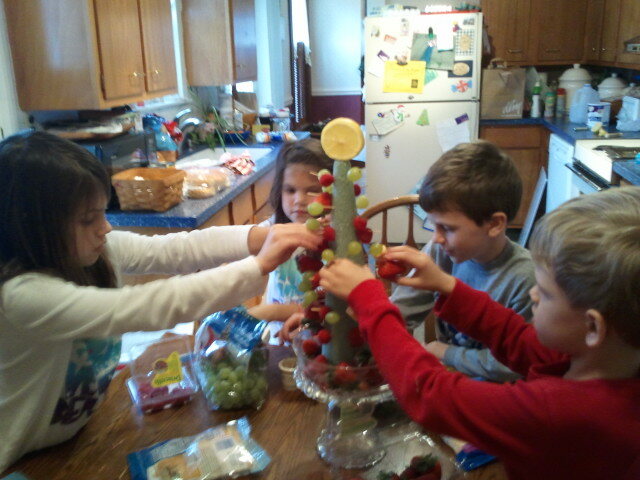 The final piece was a big hit. 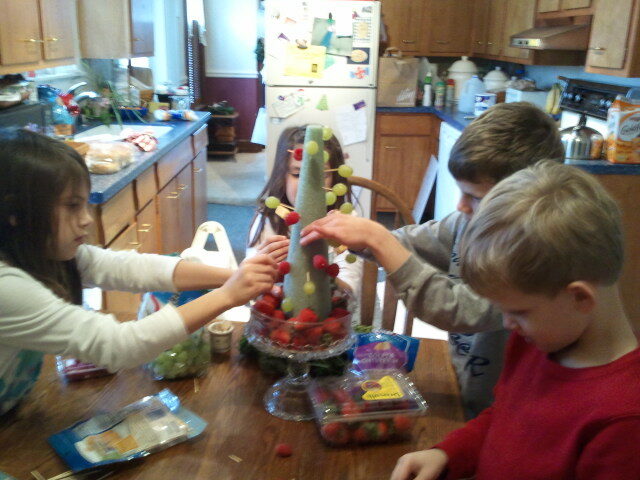 The kids plucked it almost bare and one little cousin single-handedly ate all the strawberries. Whether you are feeding the whole clan or just a photo-bombing two-year-old, you can't go wrong with a tree of fruit!